Assessee has entered into lease agreement with M/s R.L. Verma & Sons (HUF) dated 19.08.2009 whereby the assessee claimed to have taken on lease the property ad measuring 3650 sq. ft at 9th floor, Dr. Gopal Das Bhawan, Barakhamba Road, New Delhi. The parties have also entered into a loan agreement in respect of a sum of Rs. 4,50,00,000/- paid by the assessee to the lessor being security deposit on which an interest @ 2.92% P.M. was payable to the assessee. The Assessing Officer has not disputed this fact that the property in question was mortgaged by the lessor with the bank against the loan availed and therefore the property was not free from liean/charges. However, the assessee has not purchased the property and even if the said property was mortgaged with the bank so long the property is not physically taken over by the bank the assessee right over the property as a lessee was not affected. It is also undisputed fact that after the initial payment of interest the cheques issued by the lessor for the subsequent payment of the interest got dishonored when presented for encashment. The assessee took legal action by filing a complaint u/s 138 of Negotiable Instrument Act. Thus, it appears that the interest amount though accrued to the assessee and the assessee had all rights to recover it from the lessor was not received and it was full of uncertainty when the assessee would finally is able to recover the interest from the lessor when the recovery of principal amount of Rs. 4,50,00,000/- itself is doubtful. Therefore, when the amount of interest was not actually received by the assessee and there was a very bleak chance of recovery of the said amount of interest as well as principal amount then the interest which is accrued as per the lease deed and loan agreement would not be regarded as the income of the assessee so long the recovery of the same is uncertain. We further noted that for the A.Y. 2014-15 the assessee has claimed write off the principal amount and the Assessing Officer while passing the order u/s 143(3) which is placed at page 123 & 124 of the Paper Books has not made any dis allowance or addition. Though assessment order is very brief and accepted the total income being loss declared by the assessee however, once the claim of the assessee has not been disputed by the AO for the A.Y. 2014-15 then it amounts to accepting the fact that the recovery of the principal amount itself is doubtful and therefore the interest on the said amount cannot be recognized as income of the assessee as it is only a right to received but it is not certain to be received by the assessee so long this right to receive the interest is not going to be materialized it will not result any income and cannot be taxed as income of the assessee. Hence, even in this case the assessee is following the accrual system of accounting the income is accrued only on the point when it is finally to be received by the assessee with reasonable certainty and absence of certainty of receipt and recovery of the amount cannot be classified as income accrued for the purpose of charging to income tax. The Hon’ble Supreme Court in case of CIT Vs. Excel Industries Ltd. (Supra) has observed that the probability or improbability of realization of the income by the assessee has to be considered from a realistic and practical point of view which is one test laid down by the Hon’ble Apex Court in determining the income when accrued. Only a right under the agreement to receive the interest by the assessee without reasonable certainty of realization of the same cannot be brought to income tax. Hence, in view of the facts and circumstances of the case when the realization of the amount is not certain then the same cannot be charged to income tax. Accordingly we do not find any error or illegality in the impugned orders of the ld. CIT(A). “1. Whether on the facts and in the circumstances of the case the CIT(A) was right in deleting the addition of Rs. 49,94,000/- made on account of accrued interest income without appreciating the facts that the assessee company followed mercantile system of accounting. 2. The assessee company is engaged in the business of real estate. There was a search & seizure action in case of Johari group on 05.09.2011 to which the assessee belongs. The assessee filed its return of income in response to notice u/s 153A. The AO noted that the assessee has taken a property on lease from M/s R.L. Verma & sons (HUF) and deposited Rs. 4,50,00,000/- as security with lessor on which the assessee was entitled to receive interest @ 2.92% P.M. i.e. Rs. 13,14,000/- P.M. The assessee also entered into a loan agreement with the said person M/s R.L. Verma & Sons in respect of the said amount of Rs. 4,50,00,000/- paid by the assessee. The AO further noted that for A.Y. 2010-11 the assessee has admitted interest income of Rs. 46,42,000/- as against the interest accrued of Rs. 96,36,000/-. For the A.Y. 2011-12 the assessee has admitted the interest income of Rs. 3,12,000/- as against the accrued interest of Rs. 1,57,68,000/-. For the A.Y. 2012-13 and 2013-14 the assessee did not admit any interest income as against the accrued interest of Rs. 1,57,68,000/- and Rs. 1,05,12,000/- respectively. The AO was of the view that the assessee company is following accrual system of accounting and therefore the accrued interest on security deposit should have been disclosed by the assessee in its return of income. Accordingly, the AO proposed to make the addition of the differential amounts being the interest accrued but was not admitted by the assessee for all these four years. The assessee contended before the AO that after execution of lease deed it was found that the lessor defrauded the assessee and this property led out to the assessee was already mortgaged to Kotak Mahindra Bank Ltd. and consequently the bank took over the possession of the property. The cheques for payment of interest issued by M/s R.L. Verma (HUF) were got dishonored when the assessee presented for encashment. Accordingly, the assessee filed a complaint before the Metropolitan Magistrate u/s 138 of Negotiable Instrument Act. Thus, the assessee contended that the recovery of the principal as well as interest was doubtful and therefore the interest income which was not a real income cannot be charged to tax. Further, when the assessee has not claimed any interest expenses, then no interest on advance can be brought to income tax on accrual basis particularly when the interest could not be realized or recovered. The Assessing officer did not accept the contentions of the assessee and made the respective additions on account of interest income accrued of Rs. 49,94,000/- for the A.Y. 2010-11 Rs. 1,57,68,000/- for the A.Y. 2011-12 to 2013-14 respectively. The assessee challenged the action of the AO before the ld. CIT(A). The CIT(A) accepted the explanation and contention of the assessee that all subsequent cheques of interest issue by the lessor have got dishonored against which the assessee filed the claim u/s 138 of Negotiable Instrument Act. Thus, the ld. CIT(A) accepted the claim of the assessee that no recovery of principal as well as interest could be made and therefore the addition made by the AO was deleted. Aggrieved by the impugned order of the ld. CIT(A) the Revenue has filed the present appeal. 3. The ld. DR has submitted that as per lease dated 19thAugust, 2009 the assessee deposited Rs. 4,50,00,000/- with the lessor as a security and was to receive interest @ 2.92% P.M. on the security deposit amount every 20thdays on each month. Thus as per the said lease deed as well as loan agreement of even dated the assessee was entitled and had right to received Rs. 13,14,000/- P.M. as interest from the lessor. There is no dispute that the assessee company is following accrual system of accounting and therefore the interest which accrued to the assessee on the security deposit has to be assessed as income of the assessee for each of the assessment year. Filing of the complaint u/s 138 of Negotiable Instrument Act has no bearing on the accrual of the income which is a real income and cannot be termed as notional income. The Assessing Officer has not calculated the interest on the basis of any notion or notional basis but the same has been calculated on the basis of the terms of the lease entered into between the parties and as per rate agreed upon between the parties. Therefore, the contention of the assessee that the interest income cannot be charged to tax on notional basis is not acceptable as it was a real income and not notional income. Further, part of the total interest to be received during the A.Y. 2010-11 was received by the assessee to the extent of Rs. 46,42,000/- and the AO has made the addition only of the balance amount of Rs. 49,94,000/-. Similarly for the subsequent assessment years the Assessing Officer had made an addition only on account of accrued interest for which the assessee was entitled and had right to receive from the lessor. He has relied upon the order of the Assessing Officer. 4. On the other hand, the ld. AR of the assessee has submitted that the assessee offered the interest income for the A.Y. 2010-11 to the extent the assessee received the amount from the lessor, however, subsequently it was revealed that the lessor has defrauded the assessee and this property in question was already mortgaged with the Kotak Mahindra Bank against the loan and therefore the bank took over the possession of the property. The ld. AR has further submitted that when the recovery of principal amount of Rs. 4,50,00,000/- paid as security deposit as well as interest was doubtful as lessor was not having capacity to pay the same and the assessee has exercised all its legal remedy to recover the amount then the interest as per lease agreement and loan agreement not recoverable and not received by the assessee cannot be charged to tax as income of the assessee. He has further submitted that the advance cheques given by the lessor for payment of interest got dishonored and there was least possibility of recovery of amount despite the assessee filed a complaint u/s 138 of Negotiable Instrument Act. The ld. AR has thus contended that when these facts of dishonored of cheques and non recovery of the amount as well as the complaint filed by the assessee are not in dispute then the interest on the deposit is not a real income to be taxed as the recovery of the principal amount itself is doubtful. The assessee though following accrual system of accounting, however, even in accrual system of accounting any income cannot be recognized until there is reasonable certainty to its realization. When there is bleak chance of recovery of interest as well as advance from the lessor then no income in this regard can be brought to income tax. The ld. AR has further contended that the advance has been subsequently written off in the assessee’s books in the year 2014-15 as the same was not recoverable and the Assessing Officer has accepted the written off these advances of Rs. 4,50,00,000/-. He has also referred to the accounting standard-9 and submitted that as per para 9 of accounting standard-9 the recognition of Revenue requires that it is measurable and also the assessee is able to collect with reasonable certainty. If it is lacking the certainty of collection at the time of raising any claim, the Revenue recognition has to be postponed to the extent of uncertainty involved. Thus, the ld. AR has contended that the income tax only be levied on real income and not notional income. No tax can be charged of notional interest income in the case of the assessee when it is quite clear that neither the advance nor interest income is recoverable. It is settled law that the income tax cannot be levied on hypothetical income. In support of his contention he has relied upon the following decisions. 5. We have considered the rival submissions as well as relevant material on record. The assessee has entered into lease agreement with M/s R.L. Verma & Sons (HUF) dated 19.08.2009 whereby the assessee claimed to have taken on lease the property ad measuring 3650 sq. ft at 9th floor, Dr. Gopal Das Bhawan, Barakhamba Road, New Delhi. The parties have also entered into a loan agreement in respect of a sum of Rs. 4,50,00,000/- paid by the assessee to the lessor being security deposit on which an interest @ 2.92% P.M. was payable to the assessee. The Assessing Officer has not disputed this fact that the property in question was mortgaged by the lessor with the bank against the loan availed and therefore the property was not free from liean/charges. However, the assessee has not purchased the property and even if the said property was mortgaged with the bank so long the property is not physically taken over by the bank the assessee right over the property as a lessee was not affected. It is also undisputed fact that after the initial payment of interest the cheques issued by the lessor for the subsequent payment of the interest got dishonored when presented for encashment. The assessee took legal action by filing a complaint u/s 138 of Negotiable Instrument Act. Thus, it appears that the interest amount though accrued to the assessee and the assessee had all rights to recover it from the lessor was not received and it was full of uncertainty when the assessee would finally is able to recover the interest from the lessor when the recovery of principal amount of Rs. 4,50,00,000/- itself is doubtful. 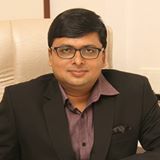 Therefore, when the amount of interest was not actually received by the assessee and there was a very bleak chance of recovery of the said amount of interest as well as principal amount then the interest which is accrued as per the lease deed and loan agreement would not be regarded as the income of the assessee so long the recovery of the same is uncertain. We further noted that for the A.Y. 2014-15 the assessee has claimed write off the principal amount and the Assessing Officer while passing the order u/s 143(3) which is placed at page 123 & 124 of the Paper Books has not made any dis allowance or addition. Though assessment order is very brief and accepted the total income being loss declared by the assessee however, once the claim of the assessee has not been disputed by the AO for the A.Y. 2014-15 then it amounts to accepting the fact that the recovery of the principal amount itself is doubtful and therefore the interest on the said amount cannot be recognized as income of the assessee as it is only a right to received but it is not certain to be received by the assessee so long this right to receive the interest is not going to be materialized it will not result any income and cannot be taxed as income of the assessee. Hence, even in this case the assessee is following the accrual system of accounting the income is accrued only on the point when it is finally to be received by the assessee with reasonable certainty and absence of certainty of receipt and recovery of the amount cannot be classified as income accrued for the purpose of charging to income tax. The Hon’ble Supreme Court in case of CIT Vs. Excel Industries Ltd. (Supra) has observed that the probability or improbability of realization of the income by the assessee has to be considered from a realistic and practical point of view which is one test laid down by the Hon’ble Apex Court in determining the income when accrued. Only a right under the agreement to receive the interest by the assessee without reasonable certainty of realization of the same cannot be brought to income tax. Hence, in view of the facts and circumstances of the case when the realization of the amount is not certain then the same cannot be charged to income tax. Accordingly we do not find any error or illegality in the impugned orders of the ld. CIT(A). In the result, all the appeals of the Revenues are dismissed.